I think it turned out a bit like Edward Scissorhands meets the 1920s. Wish I could cover my eyebrows but it seemed a bit too much hassle. I'm quite pleased with how this experiment turned out though, let me know if it's something you want to see more of. I can't even articulate how awesome this is *__________________* LOVE. And I really like the Edward Scissorhands-ness of it all! I could tell just from the thumbnail this was going to be a really cool look! Adding this to my inspiration folder! Awesome!!! I adore creative looks like this. The shape of the eyeshadow is just awesome. I would love to see more stuff like this! Gosh! 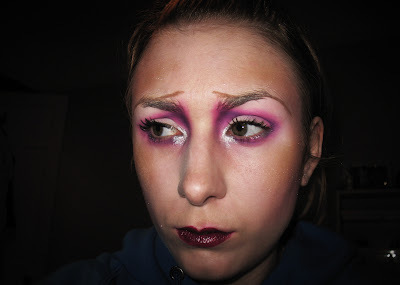 I love this look, it's so cool how you placed the purple eyeshadow. Got to try it myself! 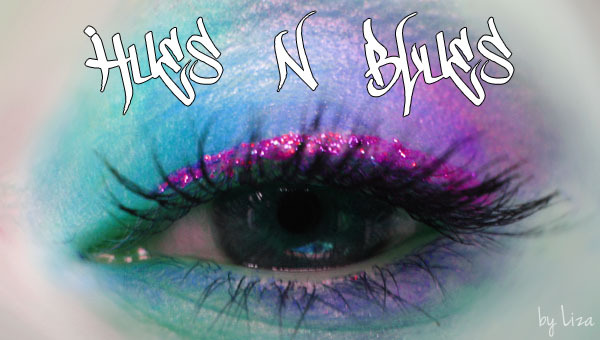 I've been looking at Sugarpills eyeshadows for a while and now I just have to order some!